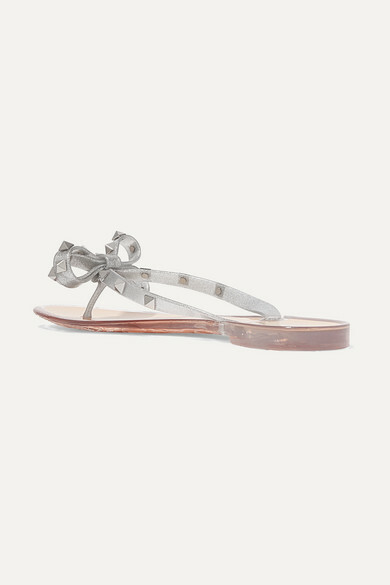 Valentino Garavani's sandals have been made in Italy from glittery silver rubber that'll glisten in the sun on vacation and dry off quickly if the waves splash them when you're strolling by the sea. 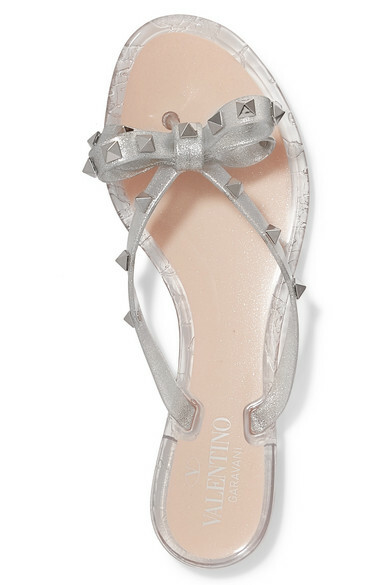 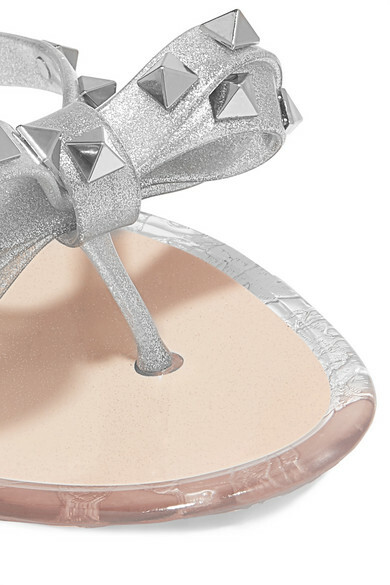 They're topped with structured bows and embellished with hand-applied 'Rockstuds', which have been galvanized to ensure a long-lasting shine. 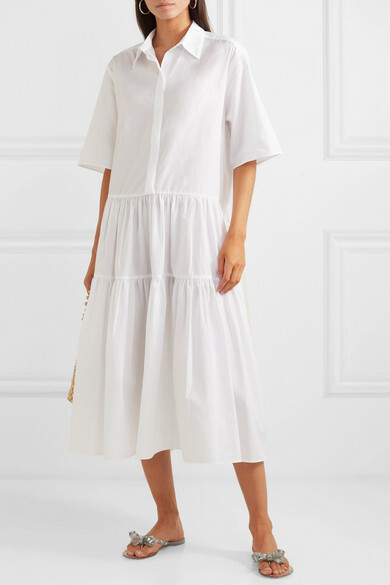 Shown here with: Cecilie Bahnsen Dress, Rosantica Bucket bag, Jennifer Fisher Earrings.